'Lemon Coral' Sedum as seen in my garden. Earlier this growing season, Proven Winners sent a variety of sample plants for me to to trial in my Zone 6b garden. 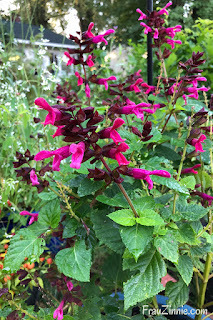 Now that the days are growing shorter and the season is almost at an end, I'll be highlighting some of the varieties that really impressed me this growing season. If you follow me on social media, you might have already seen a few of these varieties featured on my accounts. 'Lemon Coral' Sedum upon arrival. 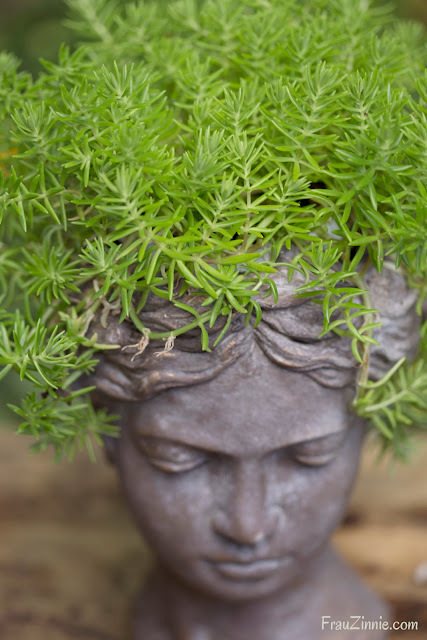 'Lemon Coral' Sedum, which has already been named the 2019 Annual of the Year, was low maintenance and stole the show when it was paired with a Greek head planter I bought especially for the plant. It is hardy through Zone 7, so I plan to try and overwinter it. When the plant arrived in May, it was fairly compact in size but quickly grew into a nice, mounding sedum. It can grow up to 10 inches tall and spread 10 to 14 inches. Mine was located in part sun but it can take full sun conditions as well. 'Rockin' Fuchsia' Salvia has intense fuchsia-colored flowers held up by maroon-black bracts (seen above left). This upright annual doesn't flop, even with lots of rain. 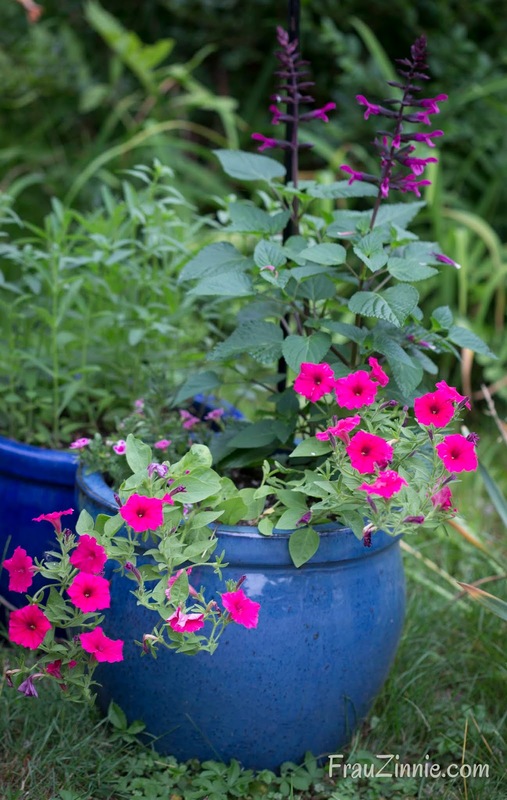 Overall, it can get to be as large as 24 to 36 inches tall and 24 to 30 inches wide, but mine stayed a bit more compact in its container it shared with two other plants — without overwhelming the container. Out of the two plants I was sent (seen above right), the one with slightly more sun exposure did a bit better by forming more flowering stems. What impressed me the most about this variety is that it continued to attract late migrating hummingbirds to my garden, even after our resident hummingbirds had already headed south and I had taken down the feeders. 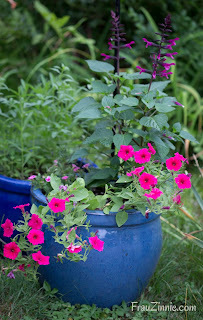 Below left, the plants grew quickly by late June (it is paired with Proven Winners 'Supertunia Vista Paradise Petunia'). Below right, the plant filled out and is still blooming in late September. 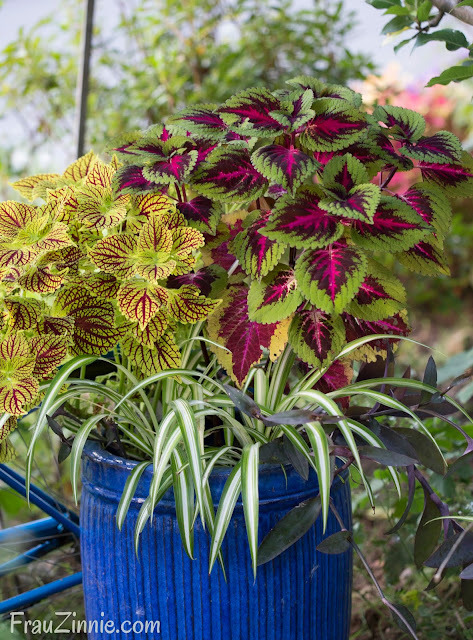 'Colorblaze Torchlight' Coleus was paired with another coleus variety, spider plants and a purple heart plant in a large container under my pear tree all summer (as seen above in this photo taken in September). 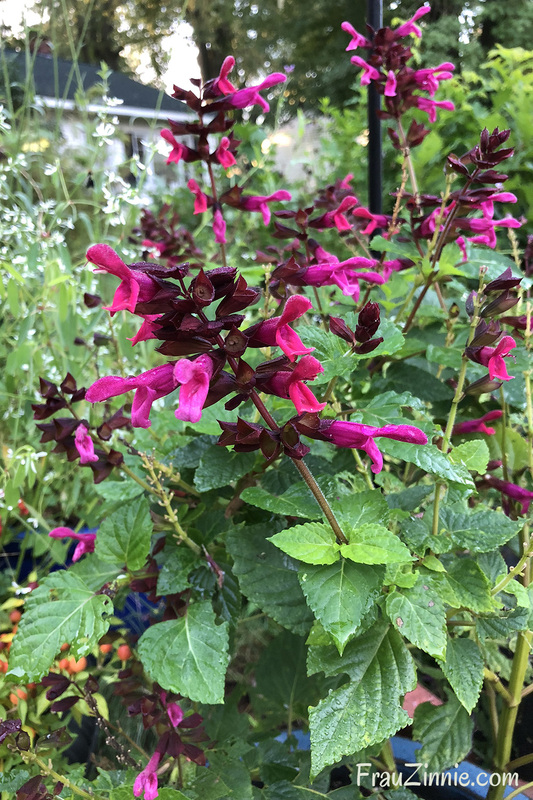 What started out as a very small plant, it quickly grew into a main focal point, maintaining its full shape throughout the summer without pinching. It also has been late to flower. The foliage pattern changes as the season progresses, starting with deep burgundy with magenta patterned leaves (at right) and later gaining an emerald green edge to the purple and magenta coloring (seen above). 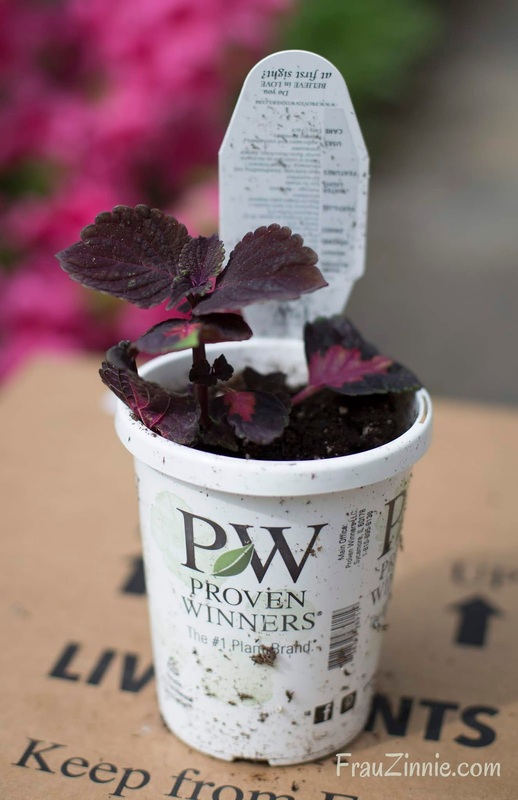 The coleus can grow 24 to 34 inches tall and 12 to 16 inches wide. 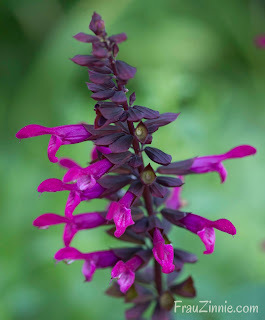 It is tolerant of sun or shade, which is a nice attribute for a coleus, but I kept mine in shade, where it definitely became a focal point in an otherwise drab surrounding. 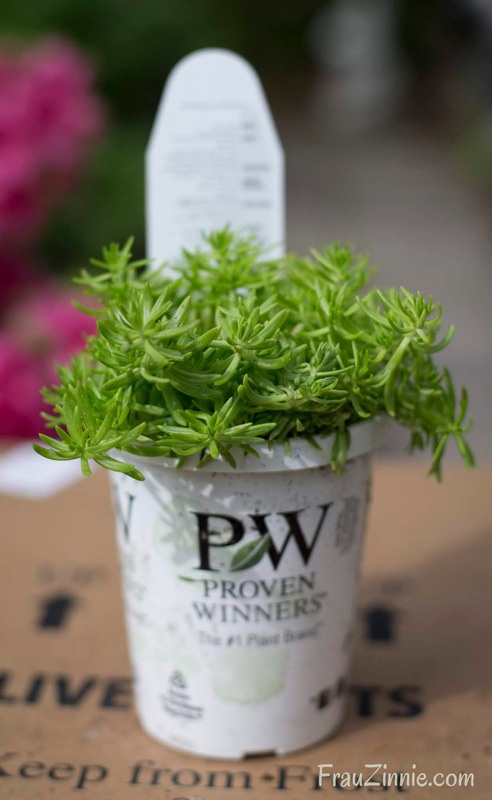 I'm always so happy to receive this shipment from Proven Winners, because I am often introduced to new plants that I find myself purchasing again in the future. For example, two years ago I was sent a sample of Superbells 'Tropical Sunrise' calibrachoa (which officially debuted in 2017), and now it's become a reliable summer staple for a hanging basket in my garden. The three varieties above will definitely be added to my must-have annual list for the 2019 growing season. 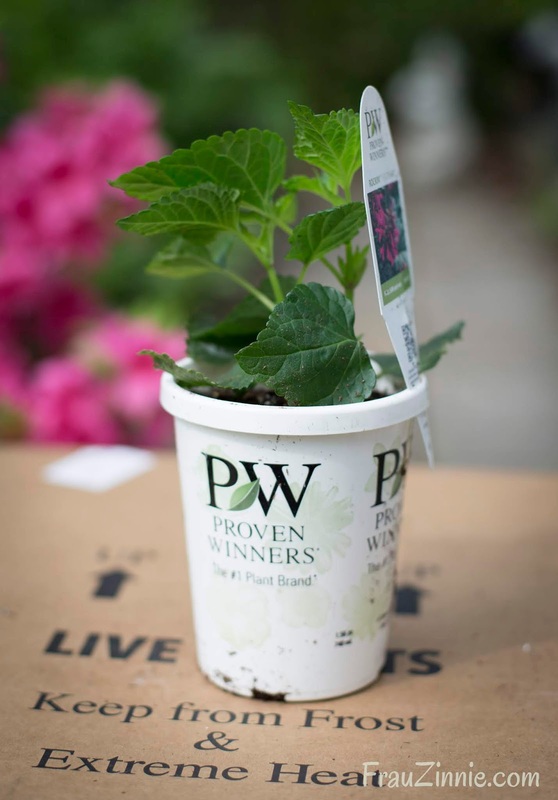 * Proven Winners provided me with sample plants to grow and test in my garden at no cost. All opinions are mine. Never met a coleus I didn't like! Both coleus in your photo are scrumptious!